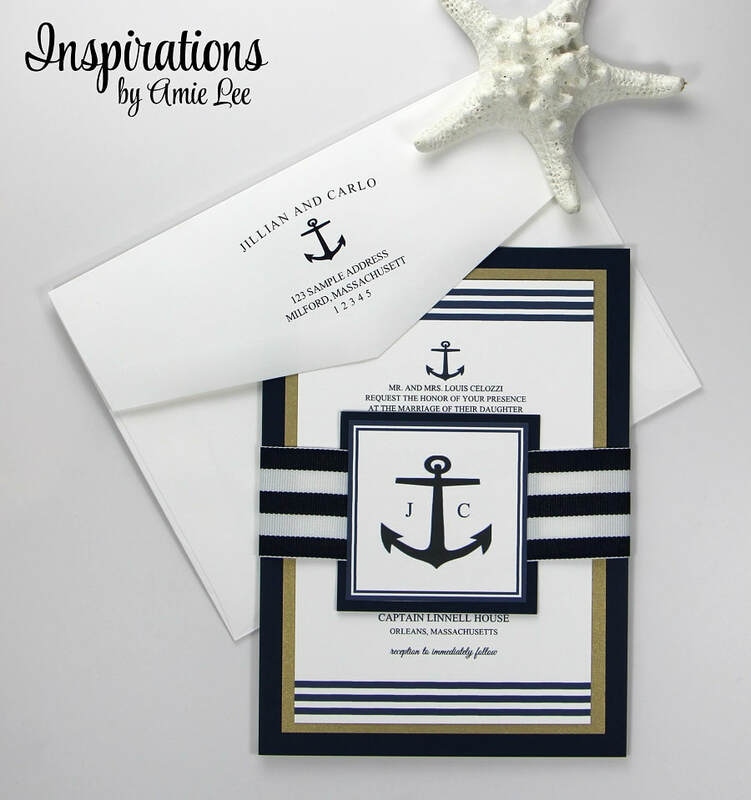 INSPIRED BY THE LOVE OF BOATING AND THE SEA! 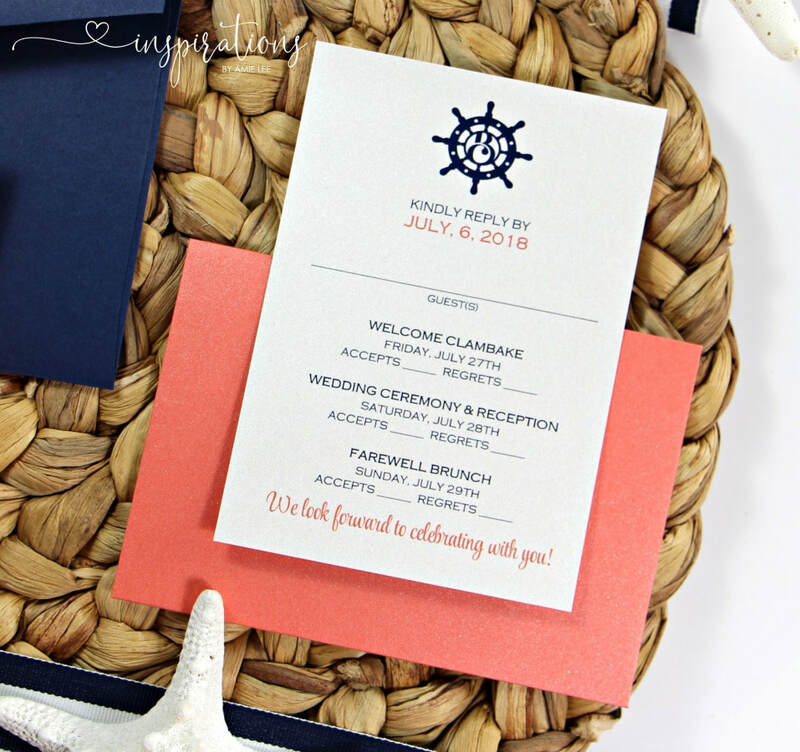 RSVP card was originally double sided, but not mandatory. 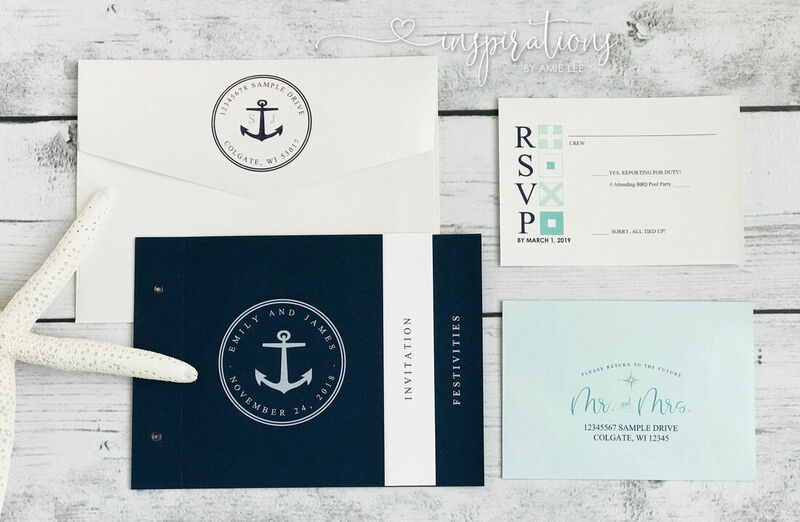 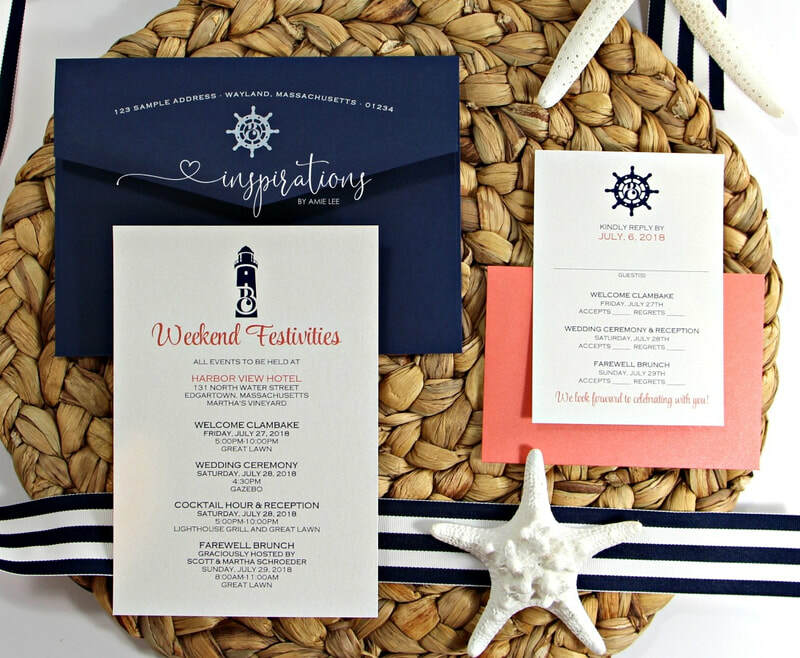 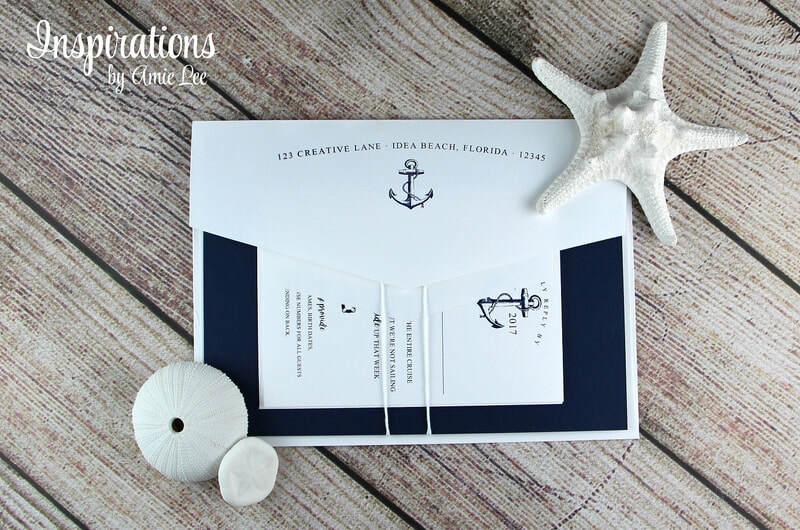 Nautical "Flip" Style Invite: Ashley Miller Colors: white linen, soleil yellow, goodnight navy and classic white with rope ties. 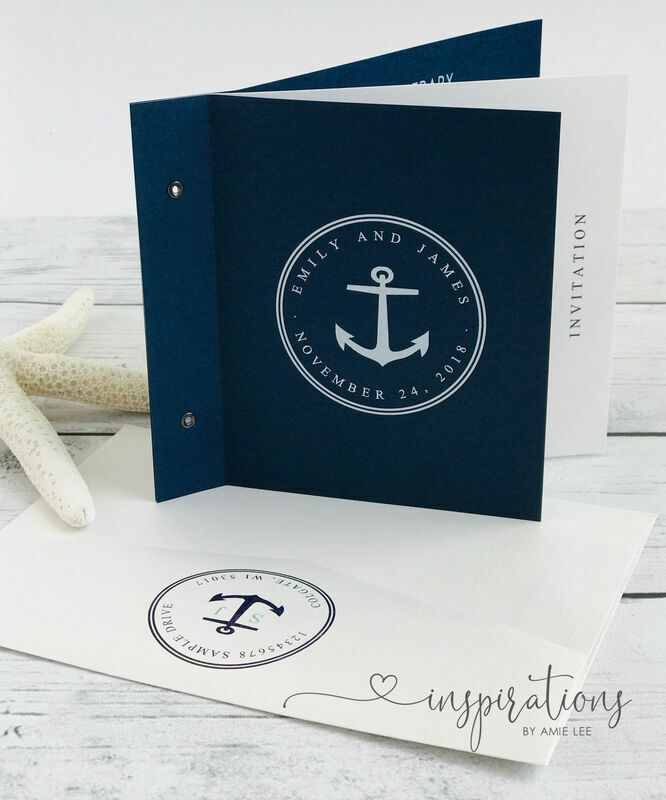 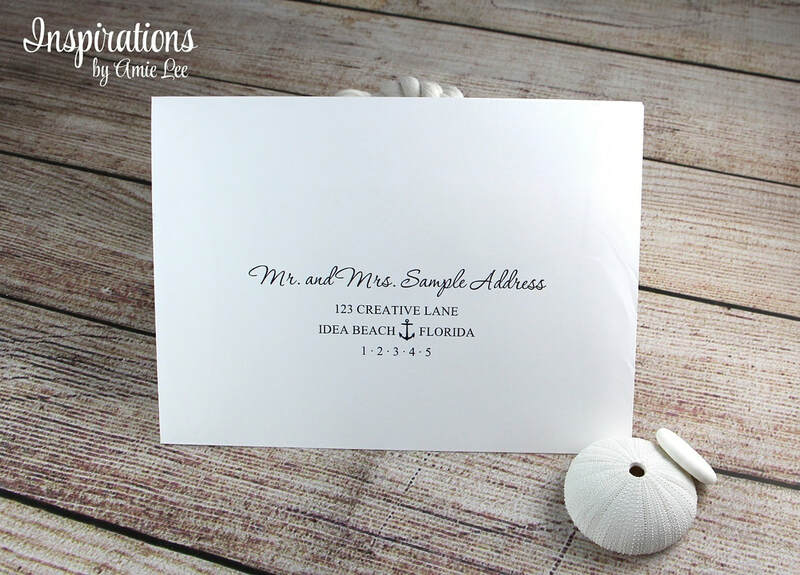 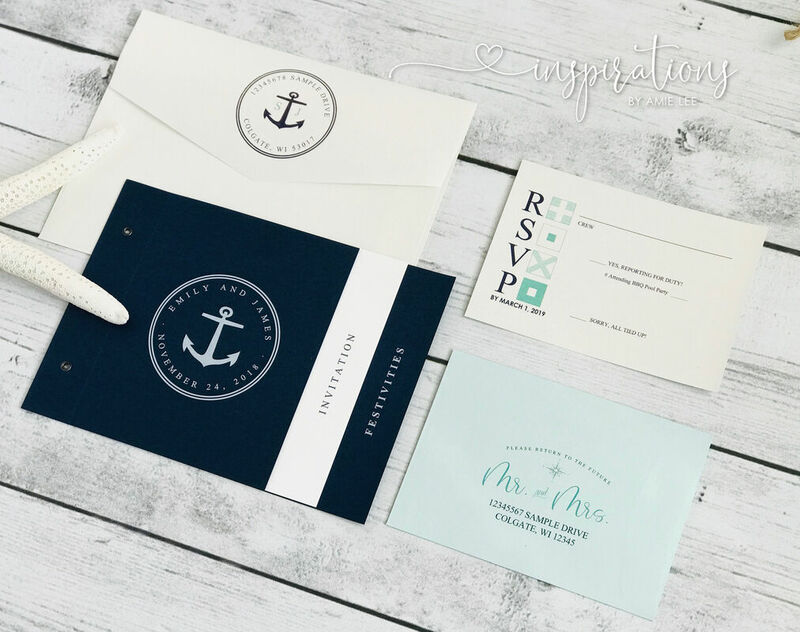 FLIP STYLE SAVE THE DATE: KATE COLORS: GOODNIGHT NAVY, CLASSIC WHITE & VELLUM. 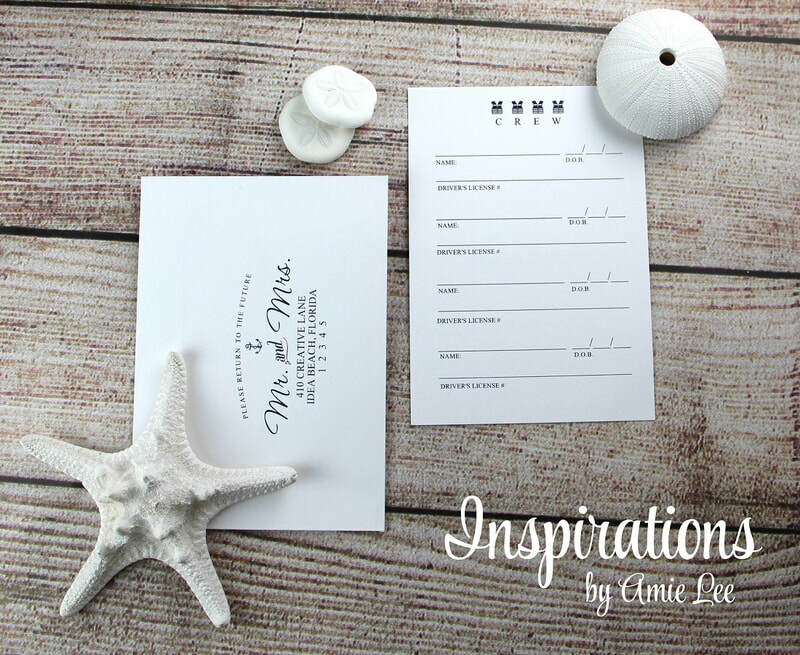 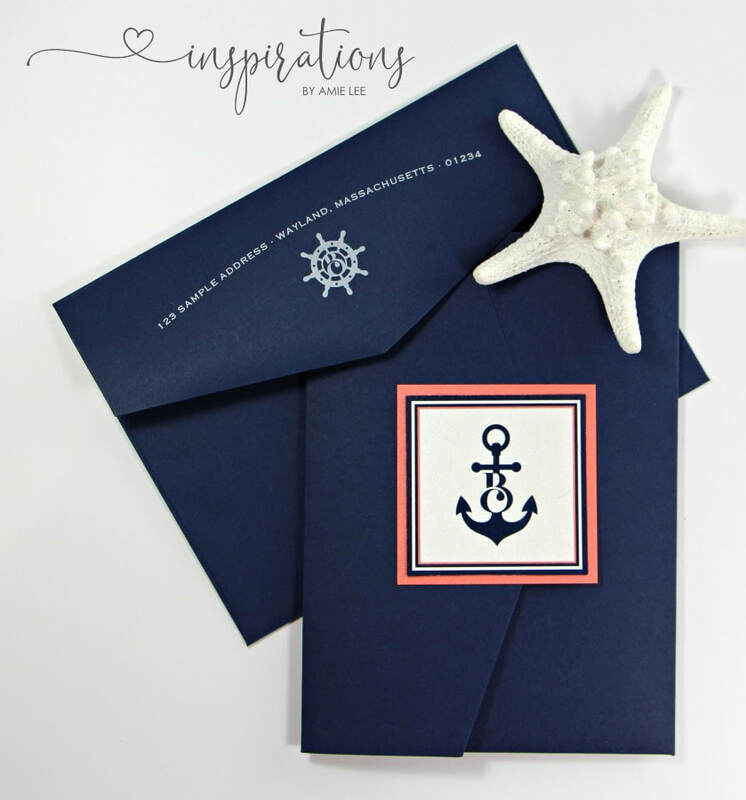 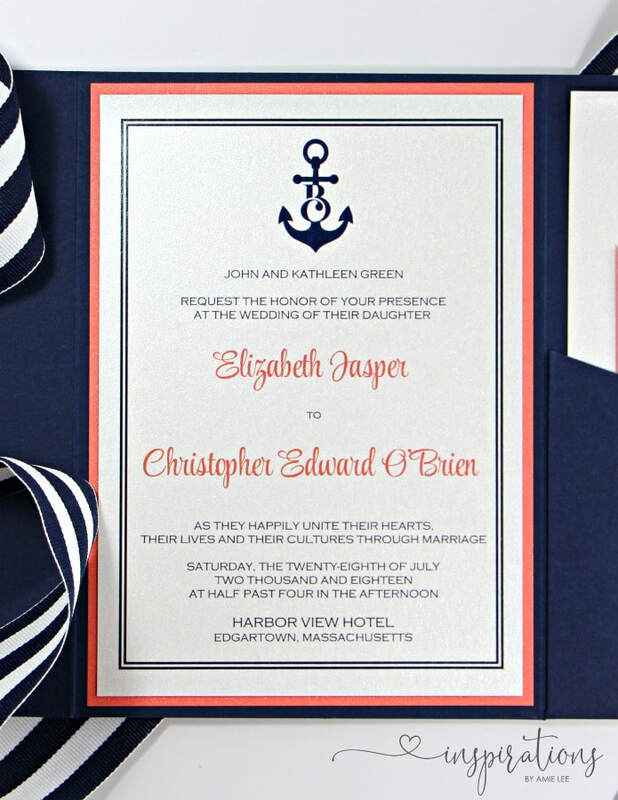 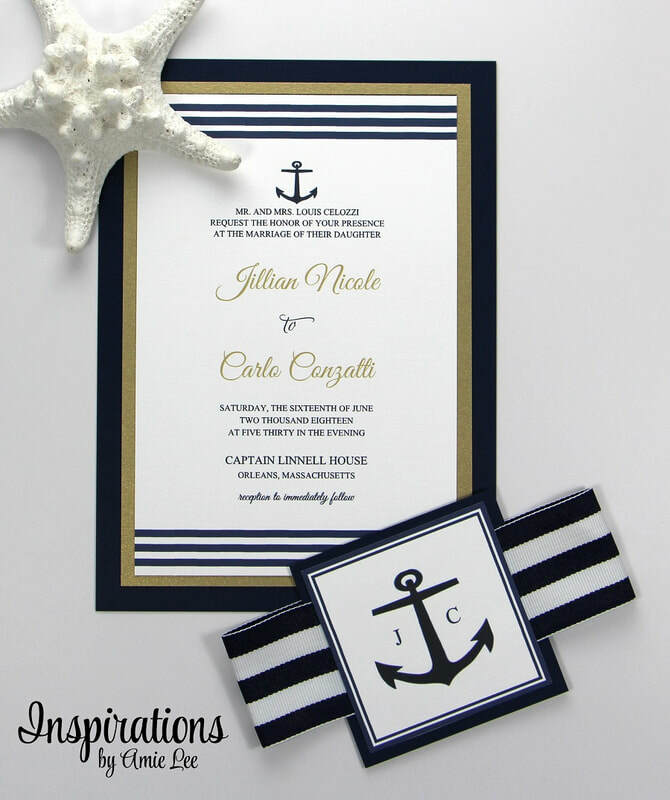 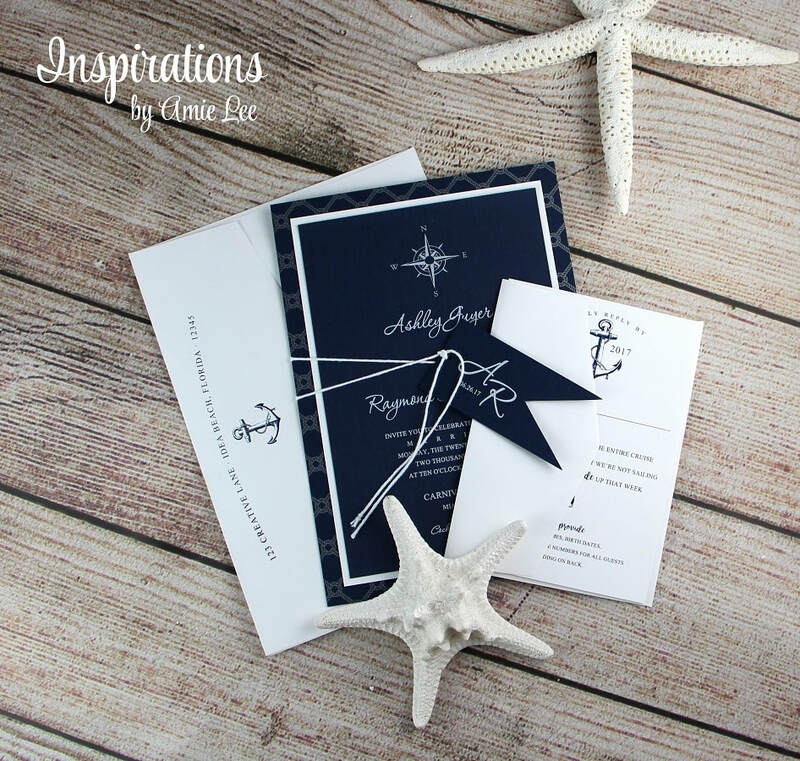 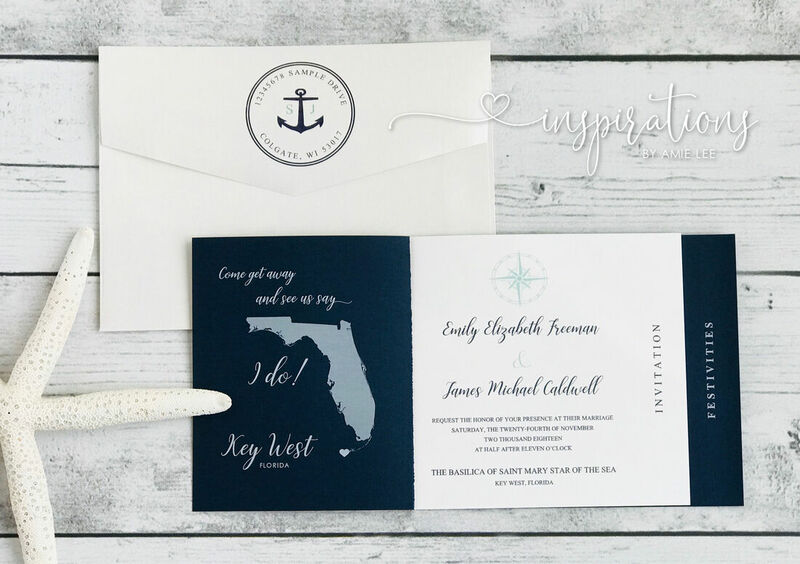 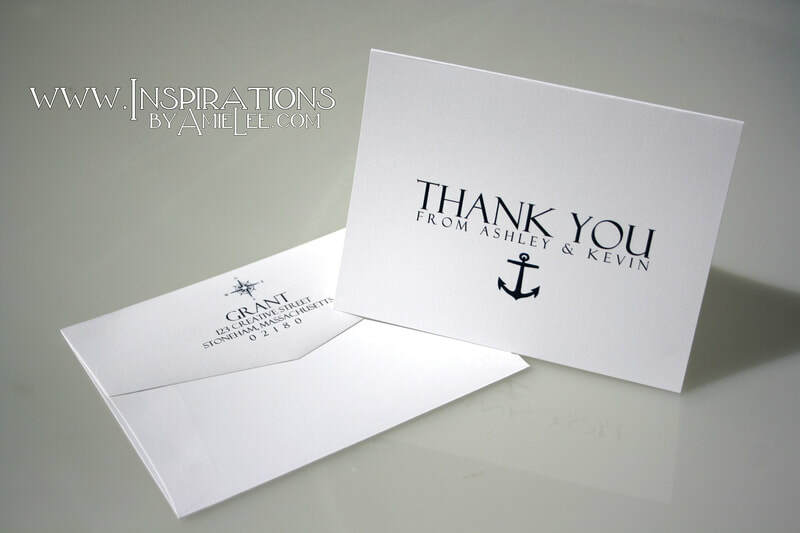 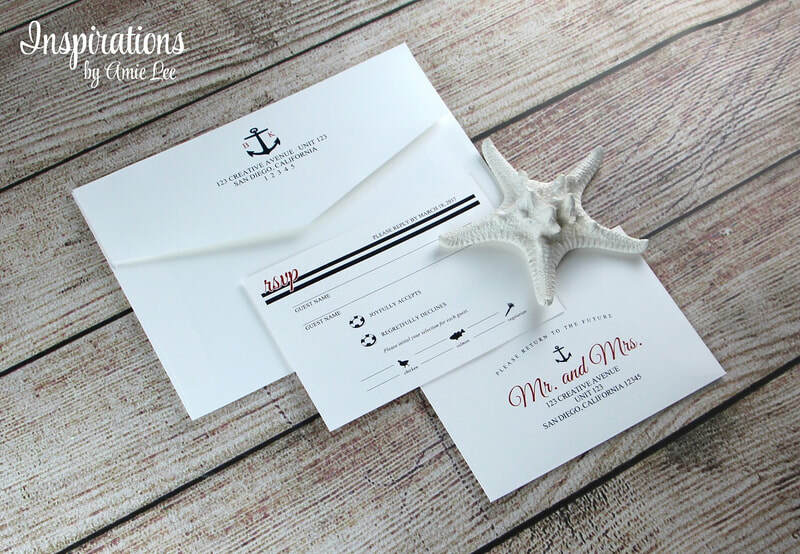 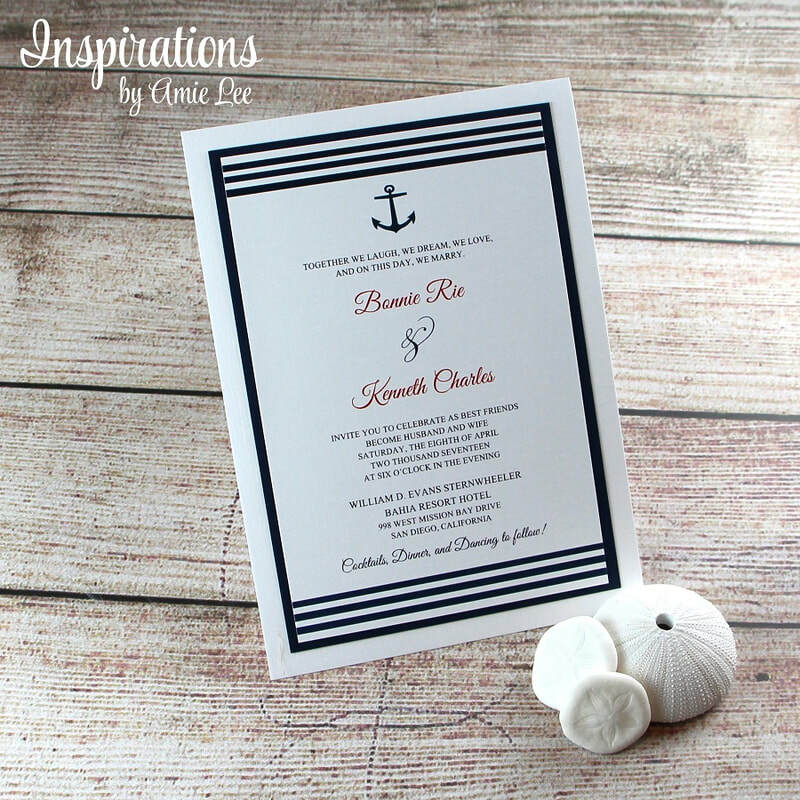 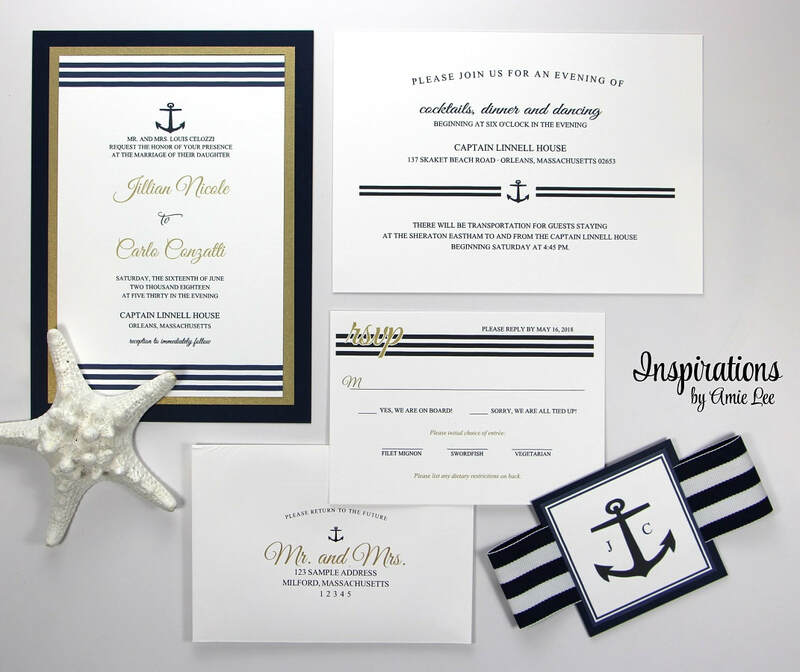 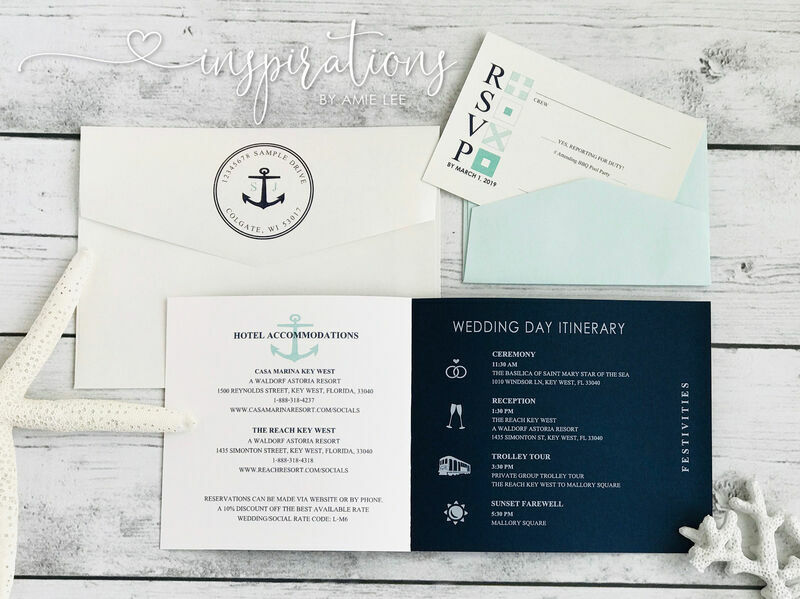 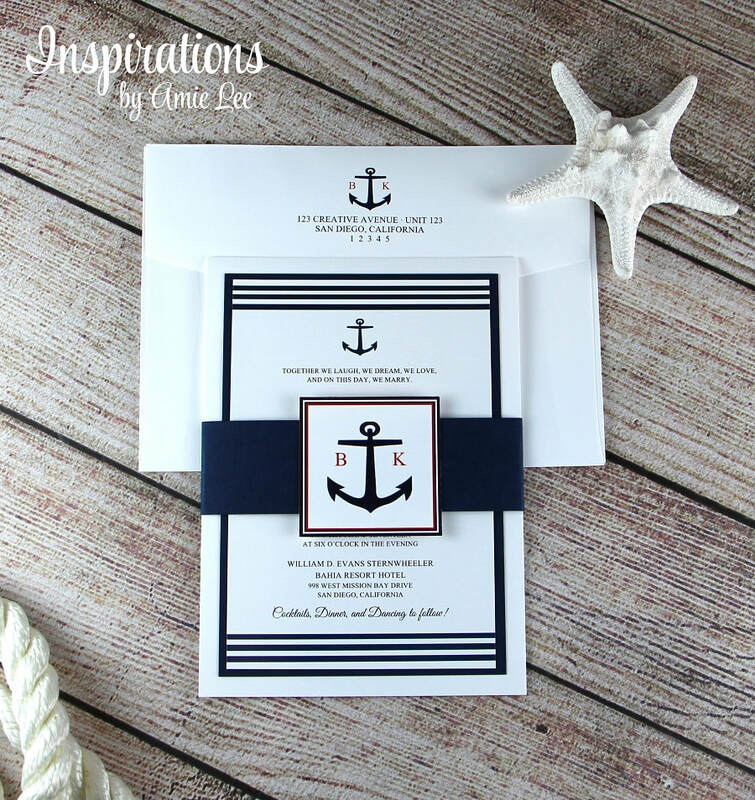 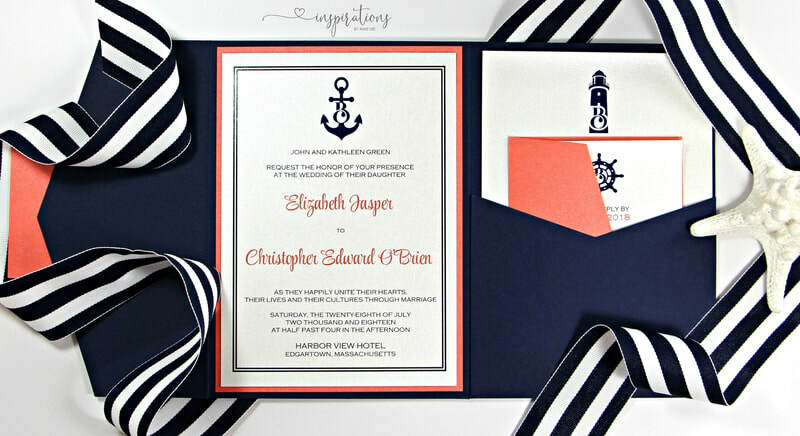 NAUTICAL FLAG INVITATION OR SAVE THE DATE. 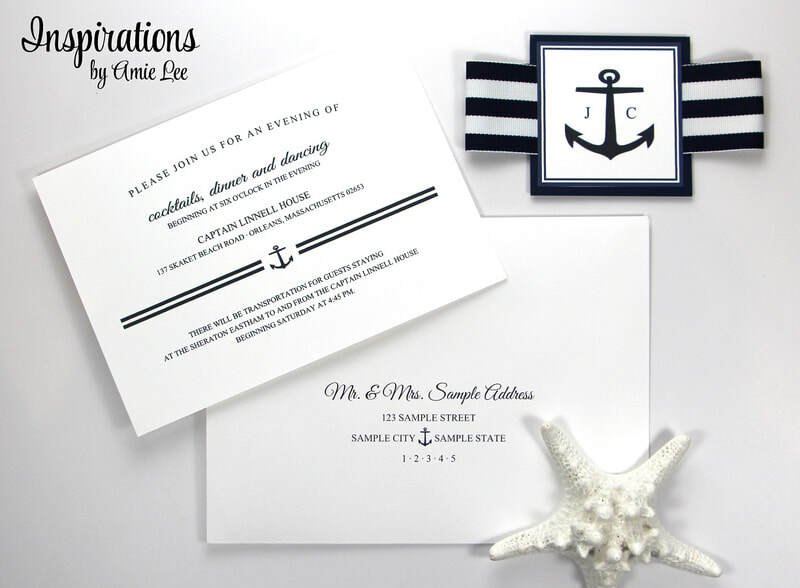 2 OR 3 LAYERS COLORS: GOODNIGHT, CLASSIC WHITE AND WHITE LINEN. 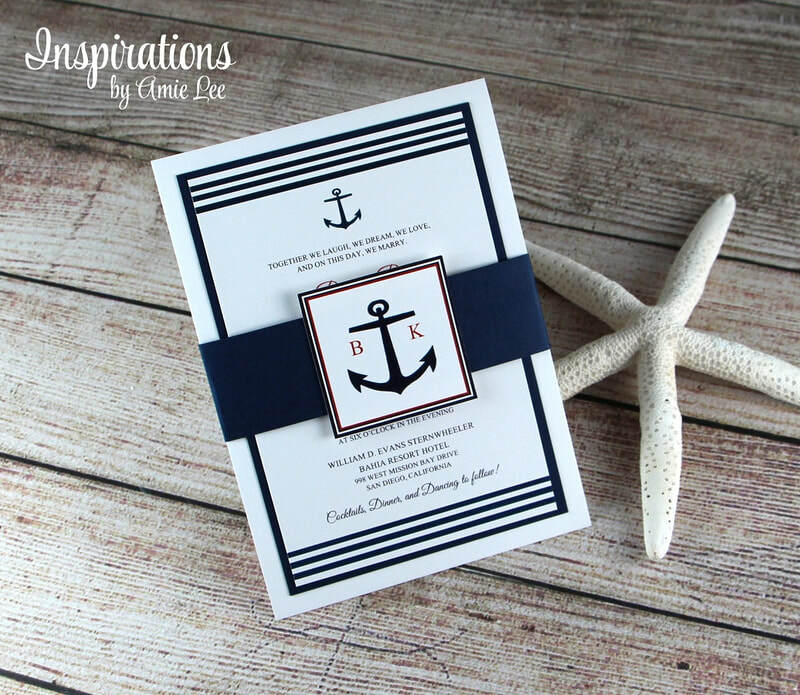 Layered card with ribbon band: Cora Colors: Lapis, white micah, tourmaline pink and goodnight navy pattern.